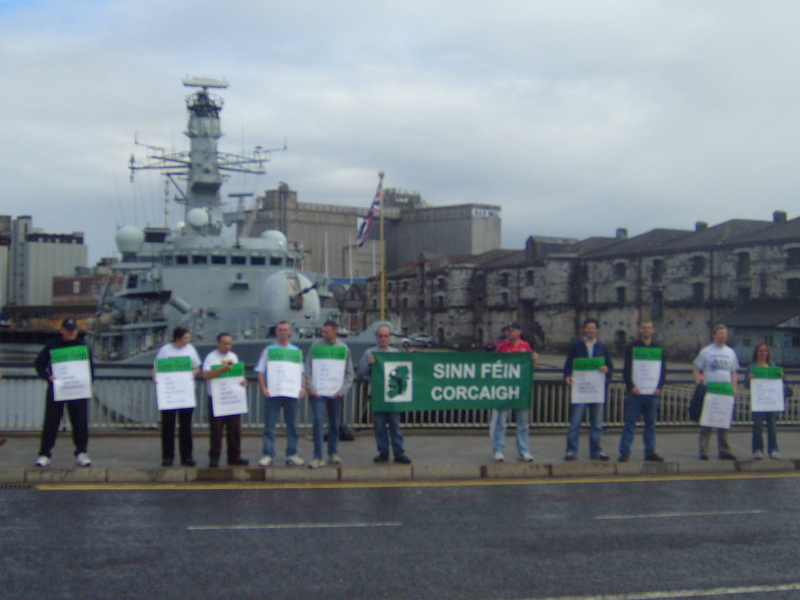 Sinn Fein held a successful protest at the presence in Cork of the British Warship HMS Westminster at the weekend. 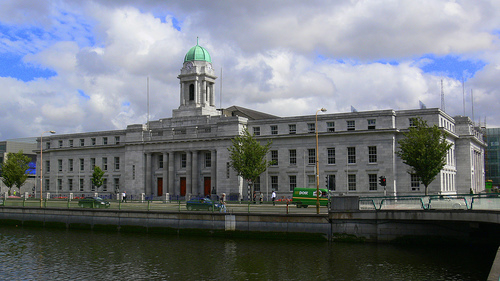 Many members of the public expressed support for the Sinn Fein action and opposition to the presence of the naval vessel in Cork. “Sinn Fein believes that by allowing such vessels the use of Irish Dock facilities the government is sending out the wrong message to countless millions of people around the world who oppose British military involvement in Iraq and Afghanistan, which has led to the loss of tens of thousands of lives. Nor should we be welcoming such vessels with open arms when part of our own country remains under British occupation. 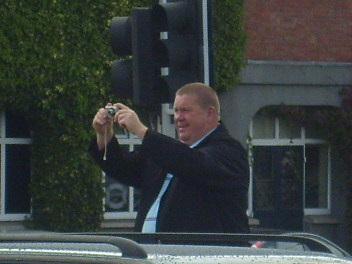 The Sinn Féin protest was about demonstrating our opposition to British imperialism, whether here in Ireland or elsewhere in the world’.